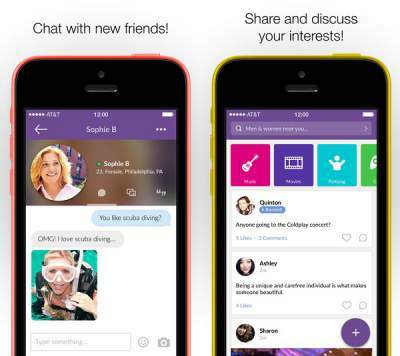 The MeetMe App has revolutionized social online dating. Meetme.com have created a dating app for Android, iPhone, iPad and Windows Phone which serves one of the biggest social networks for singles looking to date and meet on mobile devices. 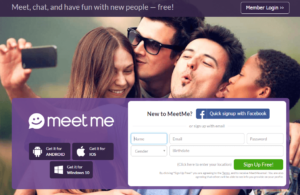 Our review of the MeetMe App explains why anyone who’s looking to meet new people, expand their social network, and find love or a relationship online should download the free MeetMe Dating App to their mobile or tablet. 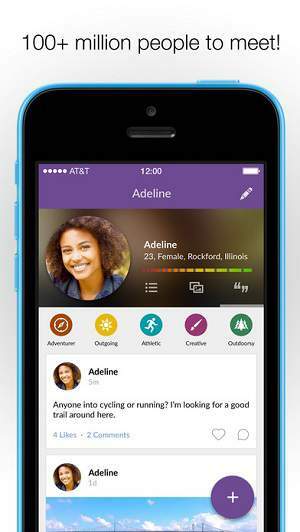 MeetMe has created an online dating app which makes it easy to find new people near you. 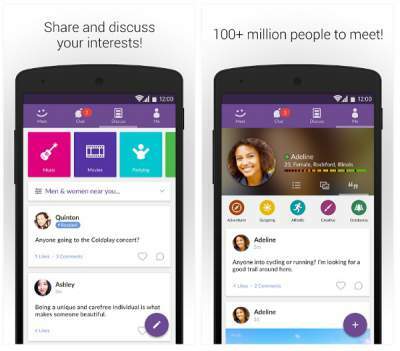 The free app relies heavily on same interests when coupling users on their mobile phones. Whether you use Android, iOS or Windows Phone the application runs smoothly on them all (although we did find a few minor glitches). This singles dating app is perfect for chatting, matchmaking, or just to meet with people in your local area who like the same things you do. The Meet Me Dating App has got over 100 million users and claims to be the best social dating app available for mobile or tablet users in the United States. If this app isn’t what you were looking for we suggest you take a look at our top dating apps to find the one that suits you best. 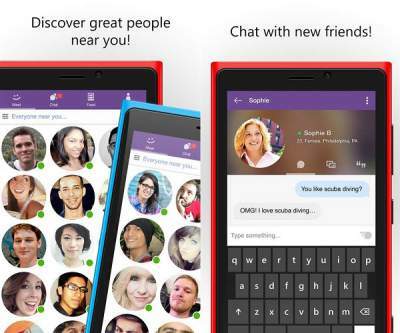 The MeetMe Mobile site is a great option for those who do not have an Android, iPhone or Windows Phone. The mobile dating site and social network is optimized for all mobile phones and tablets which means you can register and login there and start using the same features which the MeetMe App has. You can access MeetMe Mobile by opening your favorite browser from your mobile phone or tablet and typing in the address bar MeetMe.com and tapping on go. 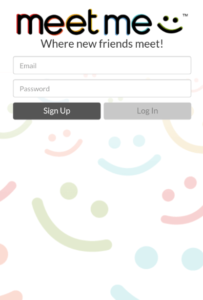 The mobile site will automatically redirect you to touch.meetme.com which will be compatible with your personal mobile device and allow you to start dating. Use the Meet feature to find local people near you. Use Match to find a secret admirer. Accept friend requests and send messages. Live feed of what your friends are doing. Use mobile ability to upload photos on the go. Give your friends gold stars and special stickers. Same as above without the ability to purchase Spotlights for added exposure. 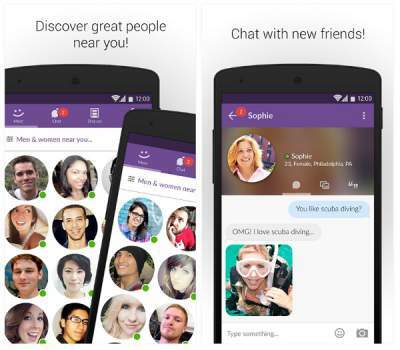 The MeetMe App is perfect for anyone looking to date online and expand their social circles at the same time. The matching according to interests allows users of iPhone, Android and Windows Phone to interact easily and with common ground. This is a social app which is also a dating app for anyone looking to find friends, love, or a relationship. Download the MeetMe Dating App to your mobile phone or tablet today, you’d be happy with the results you will get. Publisher: MeetMe, Inc. © 2016 by MeetMe, Inc. Which operating system can I use for the Meet Me iPad app? 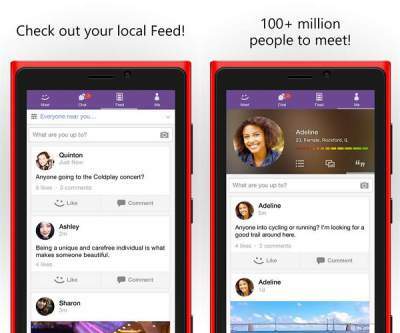 The MeetMe Spotlight feature enables you to get more exposure on the app. It is used on the Match Spotlight to help you get more exposure and get more people to view your profile. You can also use Feed Spotlight to pin your posts to the top of people’s feed on the app. How can I restrict who sees my profile?